Liebesbotschaft International: I LIKE! pillow - give-away! 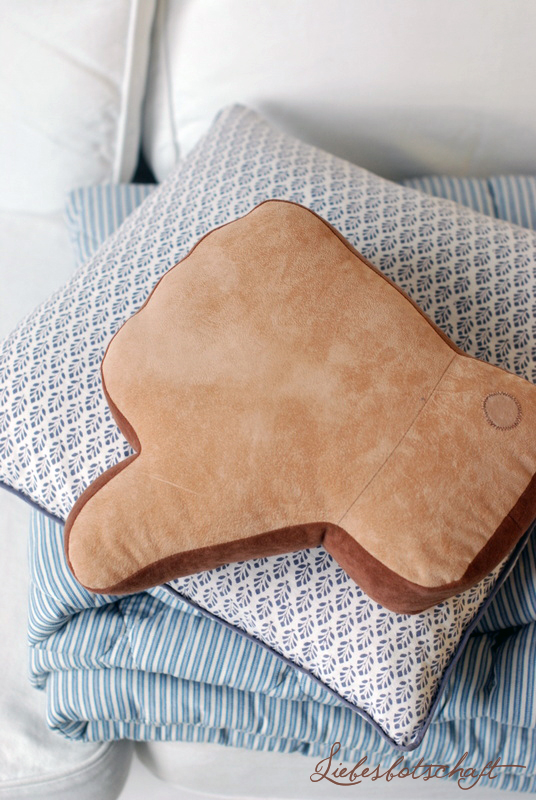 How about a pillow that makes you smile? Or a pillow that’s cool enough for (male) teenagers? 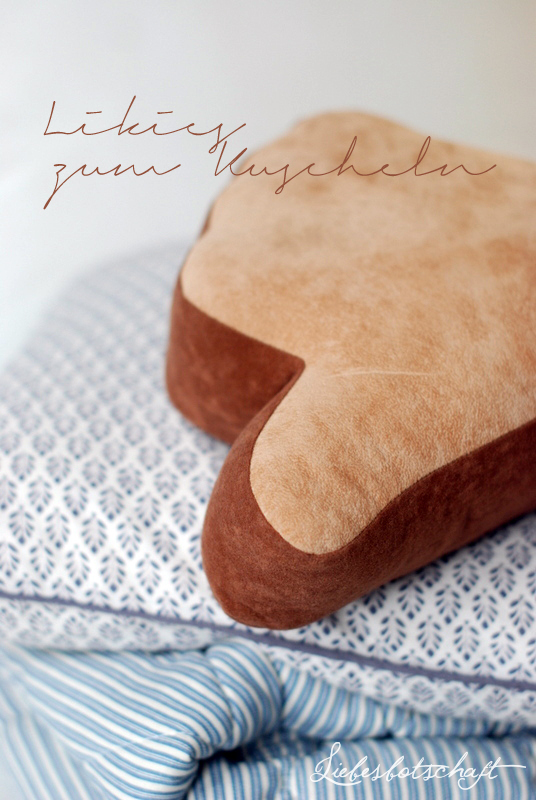 Or a pillow that will aid you in telling a dear person that you like her in the nicest way possible? Or a pillow that isn’t even available in retail stores? More precisely: 5 of them! 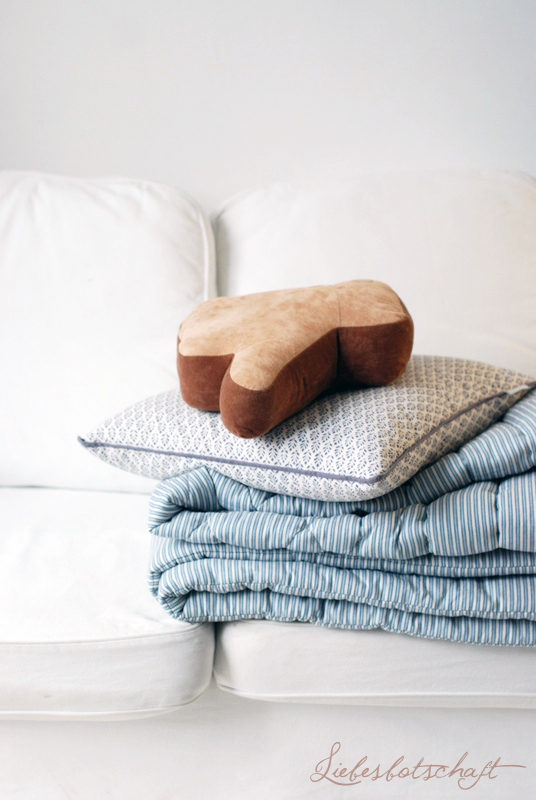 The pillows are not available anywhere – they were manufactured especially for Likies. You can order them in a beautiful gift box – and preferably give them to someone as a surprise! It can mean “I like you!”, or “Well done!”, or “Great job!” – simply: two thumbs up! A lovely idea that doesn’t cost the world and makes somebody smile! You can read again about how the Likies came into existence HERE. 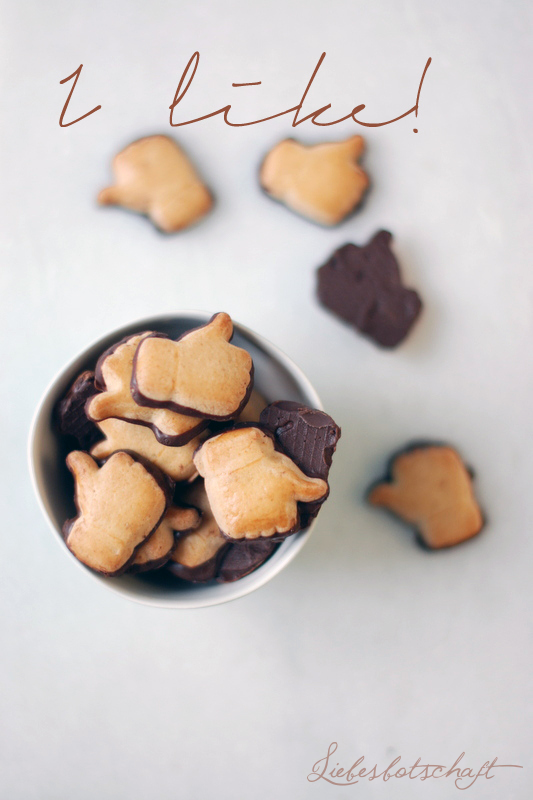 And if you already know and love the cookies – just take part in today’s raffle! You can not only win 5 of the cozy pillows, but also an additional 5 boxes of Likies you can either enjoy yourself or have shipped to someone you like. 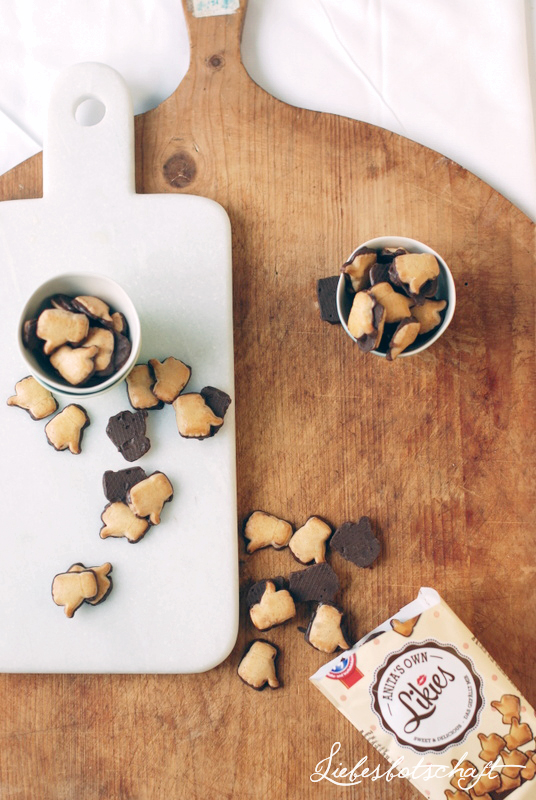 If you love personality tests, you can go to the Keksblog and find out which of the 5 cookie types you are - sweetly written and lovely illustrations! 1. 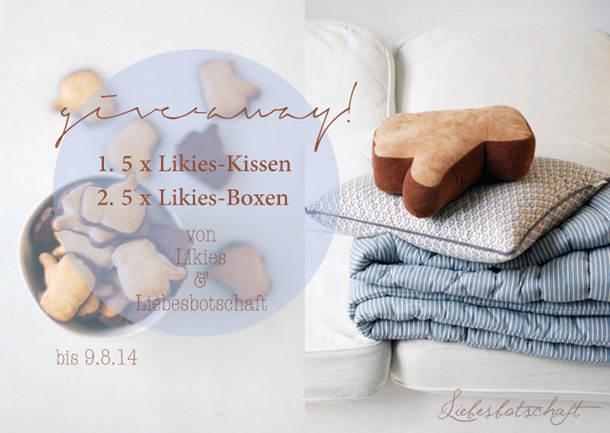 Leave a comment under this post: if you like let me know who would like to surprise with either a Likies-Box or a Likies pillow. Please feel free to take the give-away banner with you for this. The competition starts now and ends on August 9, 2014.